Paul, a Chartered Accountant and Fellow of the Association of Corporate Treasurers, joins Vast following 25 years working in the commodity and financial services industries. He has held a variety of senior international finance and operational roles in trading, processing, and financial businesses in the US, Europe, and Asia, most recently with Bunge, the US agribusiness and food company, as Global CFO & Controller of Bunge Financial Services, a Bunge group business unit providing financing and risk management solutions, and as Treasury and Trading Product Line Controller. During his 10-year tenure with Bunge, Paul was responsible for, amongst others, commodity finance structuring, product and risk control, management and regulatory reporting, budgeting, financial modelling, performance analytics, balance sheet and liquidity management. Prior to joining Bunge, Paul held various senior roles within Cargill’s energy business and internal audit, PepsiCo Snacks and KPMG. Andrew Prelea, Chief Executive of Vast, commented, “I am delighted to welcome Paul to the team, and I am confident that he will prove to be a valuable addition to our senior management group. Paul has demonstrated his expertise in financial reporting and day-to-day financial management but has also shown great skill and ability in furthering high level commercial and corporate objectives and in line with this, I look forward to Paul assuming an important role in advancing the Company’s strategic financial goals. 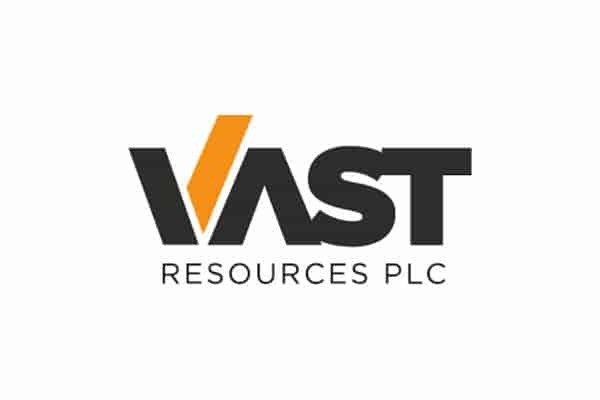 Vast Resources currently owns and operates the Manaila Polymetallic Mine in Romania, which was commissioned in 2015, and is focussed on its expansion through the development of a second open pit operation and new metallurgical complex at the Carlibaba Extension Area. The Company’s Romanian portfolio also includes interests in two brownfield development projects; the Baita Plai Polymetallic Mine (80% interest), which has a reported 1,800,000-tonne copper-silver-zinc-lead-gold-tungsten-molybdenum ore body at 6% copper equivalent (Russian Reserves and Resources Reporting System) within the mining licence area; and the Blueberry Project (29.41% interest), a 7.285km² brownfield area of prospectivity in the Golden Quadrilateral of Romania located in the immediate vicinity of the now closed Baia de Aries mine.